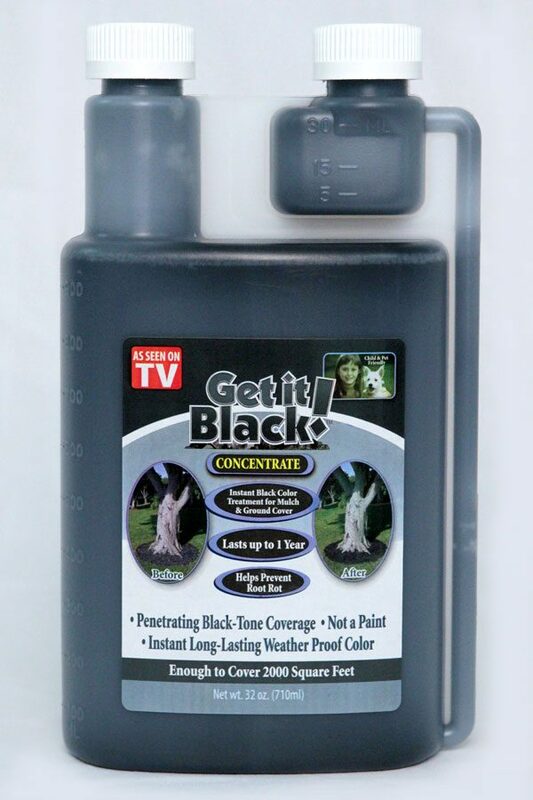 Get it Black™ is not a paint. 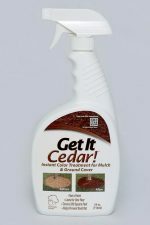 It is a patent-pending water-based formulation that gives immediate results by penetrating weather-worn wood chips or unattractive ground cover with a specially developed colorant that seeps into the organic material and permanently stains it. 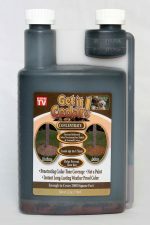 This means the color will not flake, peel or chip off and is extremely weather resistant. It is important not to add too thick a layer of mulch over plant material as this can harm the natural root growth by blocking adequate amounts of water and nutrients to the plant. 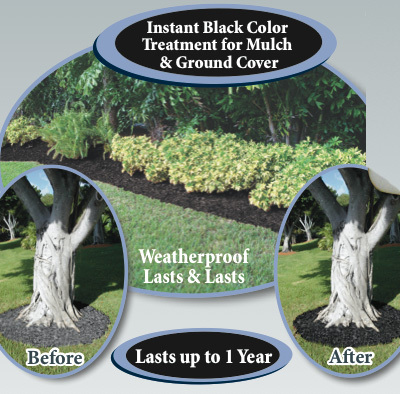 Get it Black&trade allows you to transform perfectly good mulch which has lost its beauty due to fading and weather. The solution brings back the color and restores the beauty of the landscape design without having to add costly and sometimes unnecessary additional mulch or ground cover in order to achieve a beautiful, fresh result. 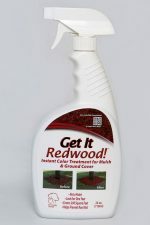 Exciting new Get it Black™ allows you to instantly and safely rejuvenate the color of unattractive, weather-worn wood mulch and ground cover. Sign up for our newsletter to receive updates about our products and services and to receive promotional and discount offers. Manufacturing products that make sense | © 2018 Science Solutions, inc.